In our series of best product guides, here’s the latest update to our recommended Android Smartphone list. All numbers in the text are updated to reflect pricing at the time of writing (March 6th). Today we're sizing up the state of the smartphone market for the first quarter of the year. Q1 guides are hard to write because we’re at the verge of a new generation of devices. If the holiday period was a bad time to buy a new smartphone, then Q1 might possibly be even worse. Nevertheless while people aiming to get the most longevity out of their smartphone purchase might be better off waiting a few more months, Q1 is also the period in which we’d see some great deals as vendors are trying to clear inventory of their last generation devices. This quarter, there’s not much change in terms of recommendation for the US market. Samsung’s 2018 lineup still offers fantastic flagships, and the OnePlus 6T is still a worthy alternative. Of course the big elephant in the room is the new Galaxy S10 becoming available in just a few days. Early adopters here might do well, but I’d recommend to wait out at least a month or two. We'll be having our Galaxy S10 review out in the coming weeks. European (and other markets) readers see Huawei’s Mate 20 Pro take top spot as my flagship recommendation. The device’s price has come down significantly since its launch, and still offers top-tier specs competing against the best of the best. 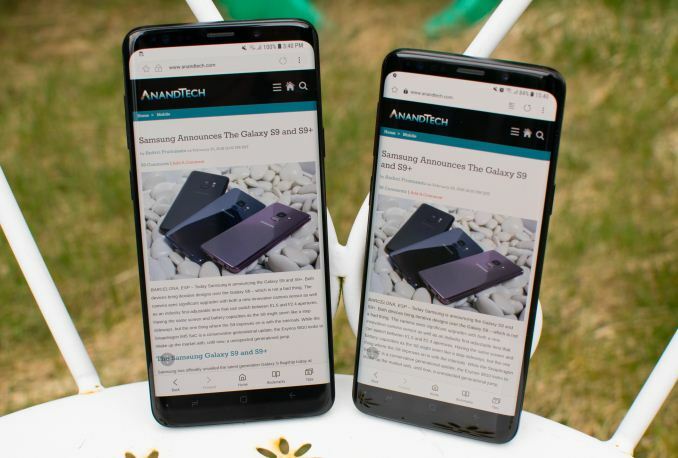 In the US and Americas in general, I’m opting to keep the Galaxy S9/S9+ and OnePlus 6T as the top choices as flagship devices. Oddly enough, the prices for these phones hasn’t changed at all, or rather even gone up a bit since our last quarterly guide. An unlocked Galaxy S9 goes for ~$550, an S9+ for ~$650 and the OnePlus 6T is at $549. Samsung’s Galaxy S9/S9+ still represent the most complete smartphone packages this year. Looking back in hindsight in regards to the competitions’ line-ups, Samsung’s choice to keep things straightforward with this year’s generation might probably the best decision. 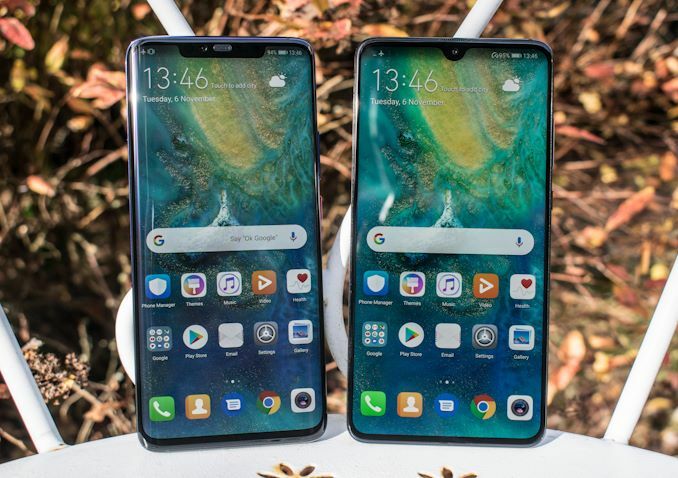 Other vendors were stumbling with (subjective) display notches, removal of headphone jacks, or just overall missing the same platter of features as well as overall device build quality and polish. The Galaxy Note9 is also pretty much a no-compromise device, and even though it launched later in the year. There’s just no real negative to the phone, and here users need to choose if the S-Pen as well as the slightly improved battery life are worth price bump over the Galaxy S9+. 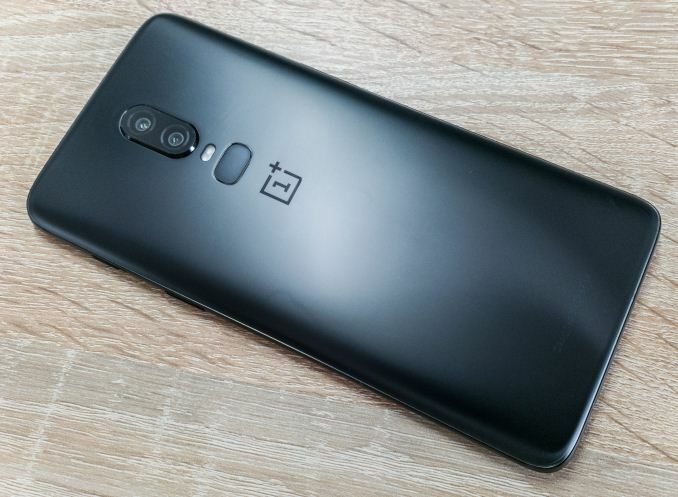 The new OnePlus 6T is an excellent choice starting at $549 directly from OnePlus. The phone is an excellent device, however the removal of the headphone jack on the new 6T might deter buyers which might instead consider the regular OP6. It’s here where I argue that paying the little extra difference for the Galaxy S9+ represents a better long-term choice as you gain a better screen, IP68 rating, much better speakers, 3.5mm jack, as well as a true telephoto lens camera module. Google’s Pixel 3 phones remain the only real contenders in this quarter’s comparison, however I again feel that Google’s dropping the ball on pricing. The phones prices haven’t changed since launch, and at $799 or $899 you’re paying a lot. If Google’s exclusive US centric features are worth it for you is something you’ll have to decide yourself. For me, with the Galaxy S10 around the corner, Google has to change their pricing otherwise I just see no point in the phones. European readers for me now have a clear choice if they want a flagship device right now: Huawei’s Mate 20 Pro. In my last quarterly guide I was hesitant in recommending the Mate 20 Pro because the device had launched at an official price point of 999€, a range which I think wasn’t quite justified by the phone. In the last couple of months, the prices have dropped a lot and now the Mate 20 Pro can be had for around 720€, a price that makes significantly more sense and puts the device at a much higher value point. Going down slightly the price range, the Mate 20 Pro and OnePlus 6/6T fall in the same price-range of ~550€. Both devices are fantastic devices in their own regard. Where the OnePlus has an OLED screen which might garner some fans, the Mate 20 has an excellent LCD screen. Both devices come with tear-drop notches, which makes the choice even harder. The OnePlus was amongst the fastest performing Snapdragon 845 devices and is still a top choice- the Mate 20’s Kirin 980 on the other hand showcases the power of the new Cortex A76 cores on a new 7nm process node, which also puts the Mate 20 as the best battery performer amongst all current flagships. 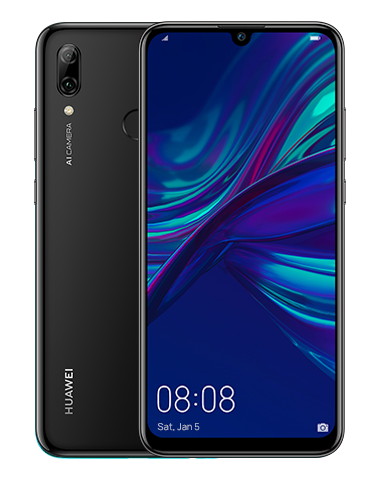 At the new price ranges, Huawei’s latest flagships are just easy choices and represent just fantastic value in 2019. 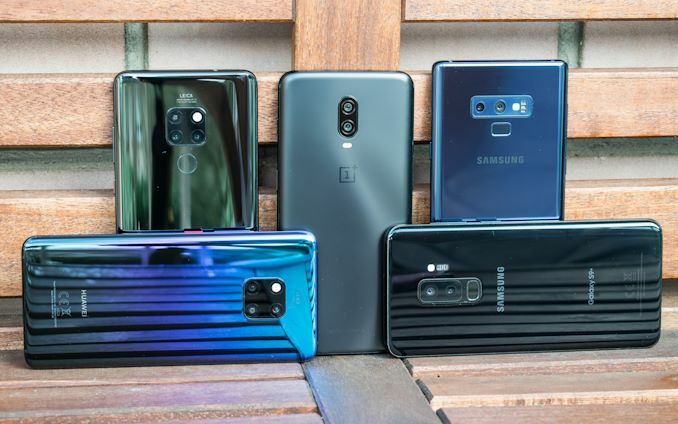 The reasoning for not recommending Samsung devices in European markets is again the same as the last few quarters: The Exynos 9810 Galaxy phones are just massively disappointing, and essentially are not competitive in terms of performance nor battery life. It’s a shame, but you will get better worth for your money elsewhere. LG seemingly has dropped the ball in 2018. Unfortunately the G7’s camera woes still persist to this day, and the new V40 suffers from very high base power consumption issues which leads to terrible battery life. This segment is a tough call because most new devices released in these price segments have one big issue: Competing with last generation flagship phones. Anand famously said that there’s no such thing as a bad product, just bad prices. The LG G7’s recent price development over the last few months is one such example. At prices of 399€ or $429 new off Amazon, it’s a lot easier to forgive some of the shortgivings of the G7, as it does end up as a good value device at this price point. The one device that does seem manage to make a name for itself in this range, is the Xiaomi Pocophone F1. Unfortunately I’m not able to fully recommend the phone as I don’t have a unit and have never tested it. Still, on paper with specifications such as the Snapdragon 845 and 4000mAh battery, the phone looks like an inevitable choice at this price point, and even competing with higher end flagships. In Europe, the phone is officially sold by Xiaomi on Amazon for £279/334€ and comes with the required local frequency bands. In the US this choice isn’t as optimal as we see the same global variant being offered by third-party retailers, and it doesn’t have the required dedicated frequency bands to operate optimally on some carriers. This category of devices is very hard for me to write about due to the sheer size of the market and particular regional segmentation. In particular the US market is absolutely barren of viable options due to the fact that many OEMs don’t officially release their products in this region. This is incredibly frustrating as it’s in this budget segment where we see the vast majority of competition from Asian vendors, providing some of the more incredible value propositions. Last quarter I recommended the Honor 7X as a possible option for US buyers, but even here users who are on CDMA carriers (Verizon, Sprint) are just pure out of luck. It’s a tough situation and unfortunately due to the geopolitical as well as bad US carrier situation I think the best sub-$200 phones are probably refurbished previous generation flagship devices. That being said, for other regions as well as if you’re willing to live with the more limited frequency band support in the US, the one clear winner in this price segment is Huawei’s P Smart 2019 or its almost identical sibling, the Honor 10 Lite. Huawei & Honor employ surprisingly high quality screens in their low-end devices which punch far above their weight. 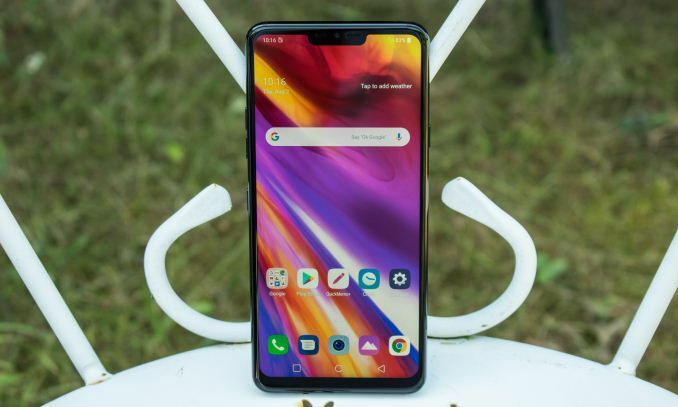 The full-screen design with a dew-drop notch also doesn’t make it immediately obvious that we’re talking about a budget smartphone. The phone’s Kirin 710 chipset comes in a 12nm manufacturing node with 4x 2.2Ghz A73 cores and 4x 1.7GHz A53 cores which is in line with performance of a flagship SoC 2 years ago. Together with a 3400mAh battery this results in some great battery life. Overall for £189 or 199€, the P Smart (2019) just seems to offer incredible value.